Modern office furniture embodies the very vision and personality of your company—and the modern reception desk is no exception. Every client, guest, and employee who walks through your office doors receives their first impression about your company from your reception area. 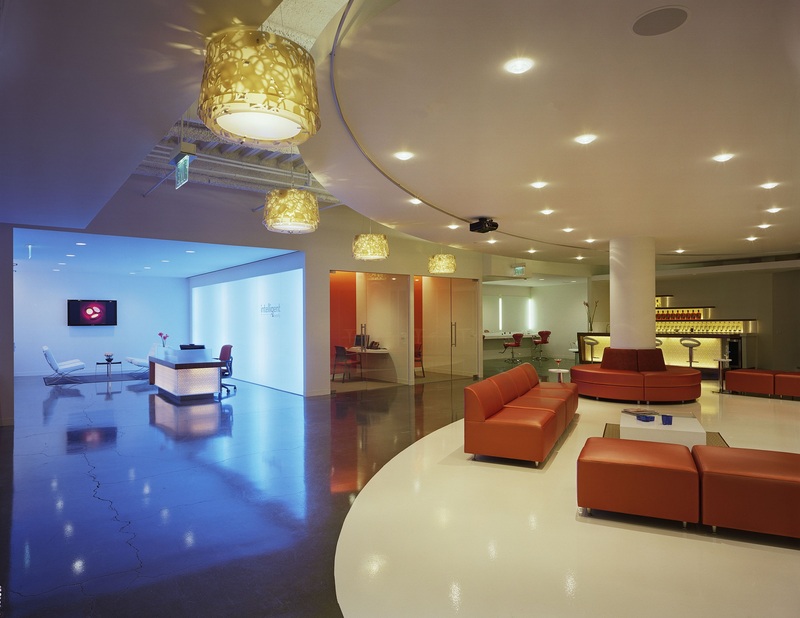 Modern reception desks help you set the tone for what visitors can expect from your company. 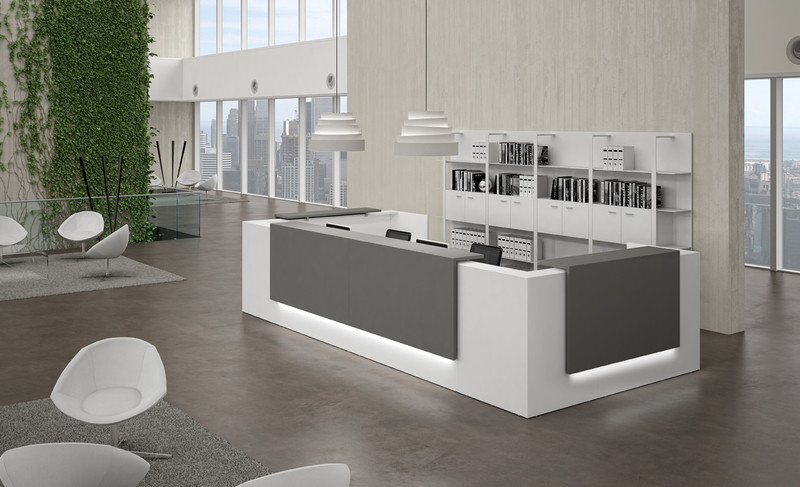 Whether you value innovation and creativity, tradition and elegance, or forward-thinking and progress, the right modern reception desk creates the lasting impression you want to leave. Modern Reception Desk Trend #1: Curves Ahead. 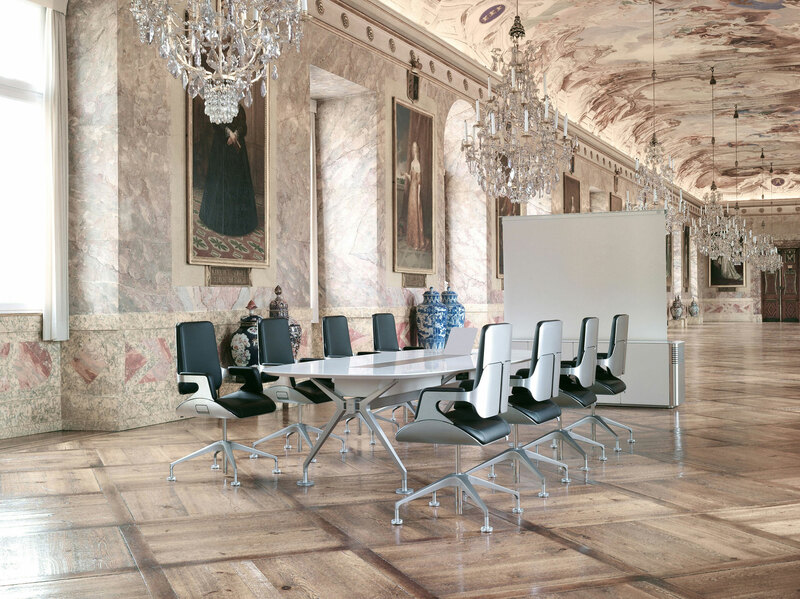 Geometrics continue to play a significant role in modern office furniture. Reception desks are where we see the most innovation when it comes to how shape affects the ambiance of a lobby or waiting area. 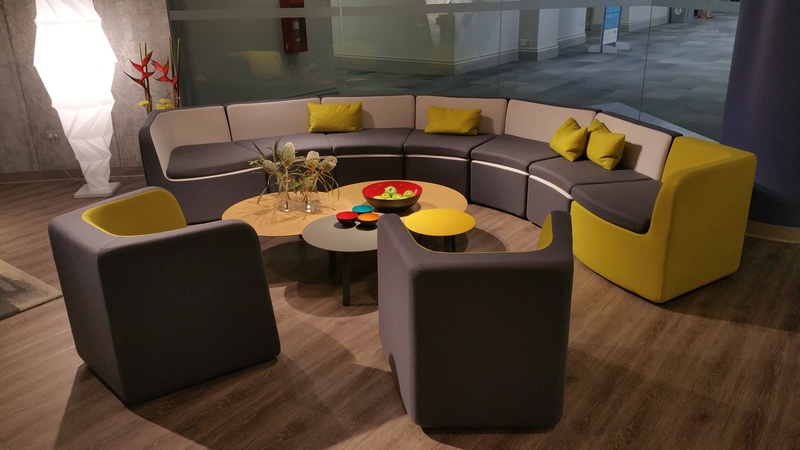 From wraparound reception desks to the flowing design of a curving reception desk, these modern shapes make a reception area immediately striking and memorable. Modern Reception Desk Trend #2: Glass is Class. Glass reception desks are taking modern offices by storm. These reception desks are the perfect addition to modern offices that desire refinement and sophistication in their décor. Whether it’s a frosted-glass topped reception desk, or a reception desk with crystal-clear glass panels, one thing’s for sure—these glass touches resonate pure elegance. 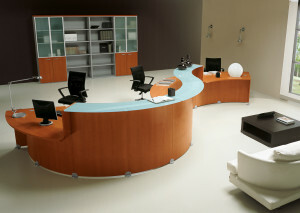 Modern Reception Desk Trend #3: Mixed Material. Another trend in modern reception desks is to complement the grain and knots of natural wood with the sleekness of glass or chrome accents. The mix of natural materials with modernistic metals and glass elements creates a truly striking effect—one that immediately connotes innovation and progressive style.